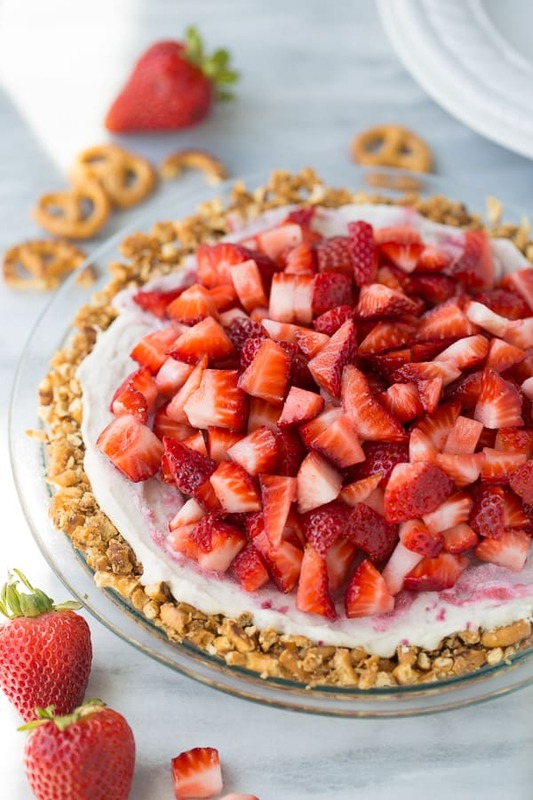 Vegan Strawberry Ice Cream Pretzel Pie! 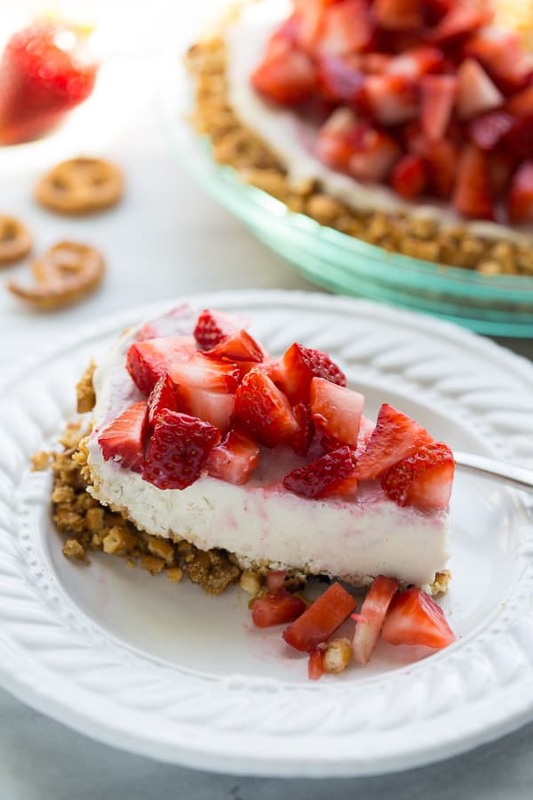 Gluten-free pretzel crust with an easy, homemade dairy-free cashew ice cream and fresh strawberries! 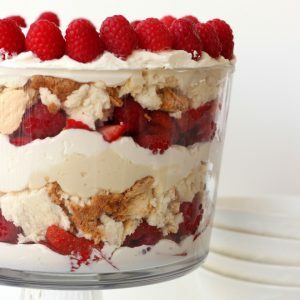 If you’re looking for a creamy, dreamy summer dessert that is also gluten and dairy-free look no further! 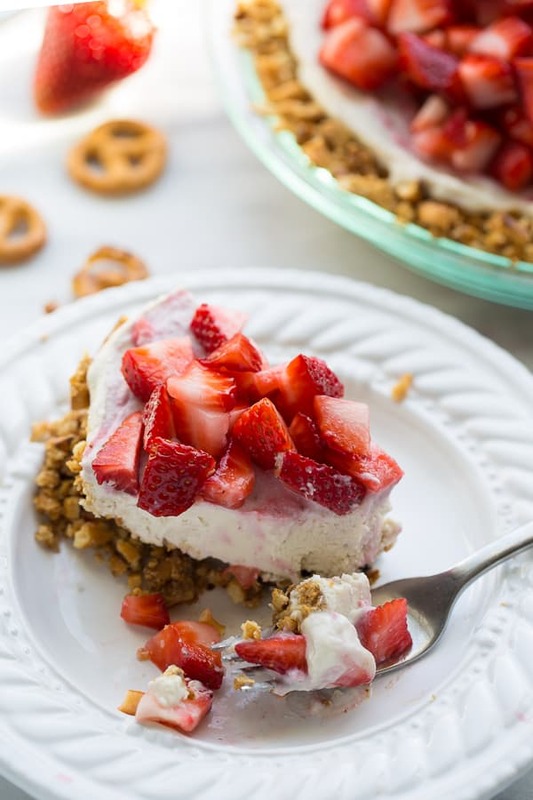 This Vegan Strawberry Ice Cream Pretzel Pie is the best thing I’ve made all summer! 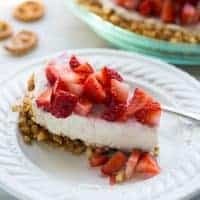 This pie has a crisp pretzel crust topped with a creamy vanilla vegan ice cream and a high pile of sweetened fresh strawberries. The combination of sweet, salty and creamy is unbeatable! This pie also makes a stunning presentation, but is secretly easy to make. 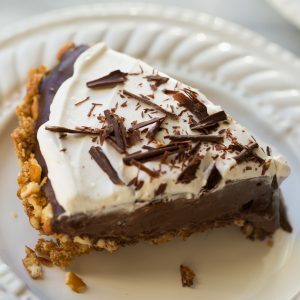 Last November I posted this Vegan Chocolate Pudding Pretzel Pie and it continues to be one of my very favorite pies. I’ve also gotten rave reviews from readers and friends who’ve made it. Pretzel crusts are so easy to make and nothing beats the sweet and salty combination. This is a summer spin on that pie! Making homemade vegan ice cream is delicious and easier than it sounds. 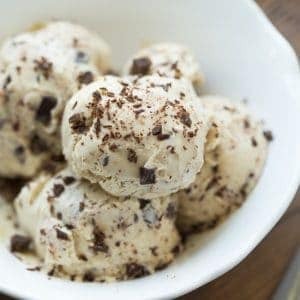 I use a combination of soaked cashews, coconut milk and coconut oil for the base of this ice cream and the result is an amazingly creamy rich ice cream. The flavor of the ice cream goes perfectly with fresh strawberries. In fact, simple homemade cashew cream poured over fresh strawberries is one of my very favorite healthy summer treats. This dessert takes that combination to a whole new level. 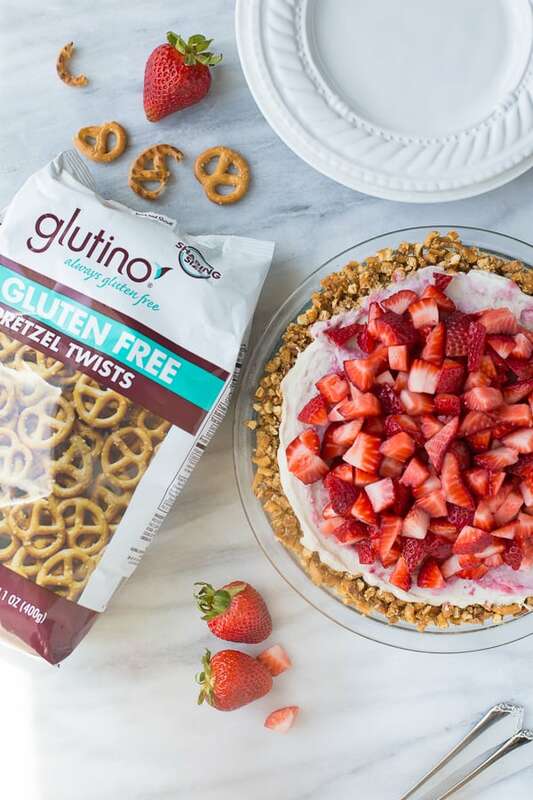 Glutino pretzels are my favorite gluten-free pretzels. You’ll never guess this pretzel crust is gluten-free! I also use Glutino pretzels to make our favorite Peanut Butter Pretzel Granola Bars and this Gluten-Free Pretzel Crusted Chicken. Bring this dessert to a summer potluck for you gluten-free, dairy-free guests and the whole party will love it! My dairy-eating family couldn’t get enough of the ice cream filling. You could also top with pie with any combination of berries you like. Add a few blackberries for a patriotic twist! Soak the cashews for 4-6 hours in cool water at room temperature or 1 hour in very hot water. Drain and set aside. Place all the ingredients for the ice cream (including the soaked cashews) in a high-speed blender. Blend until completely smooth. Refrigerate the mixture for 1 hour (or up to overnight) until chilled. Assemble your chilled ice cream maker and pour in the chilled ice cream batter. Churn until creamy and thick like soft serve. Scoop the ice cream into the prepared crust and smooth. Cover securely and freeze for 4-5 hours or until firm. Before scooping, set out for 10-15 minutes to soften. Top the pie with the diced, sweetened strawberries. Slice and enjoy! This pie is best served the day it's made. Leftovers can be stored in the freezer but the crust may not be as crisp the next day.